Mystra High atop Mt. 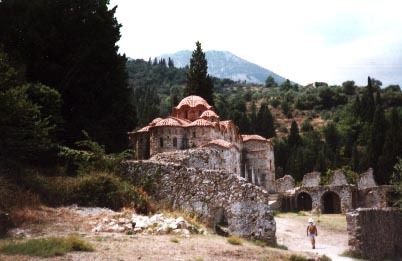 Taygetos, overlooking the modern town of Sparta is a ruined medieval citadel. 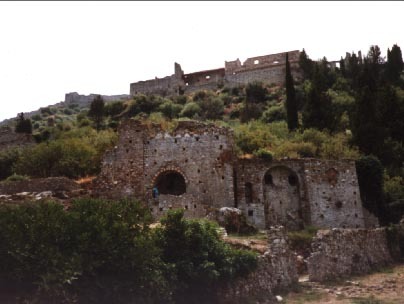 Its defensive walls still standing having outlived their creators as well as the conquerors of their creators. 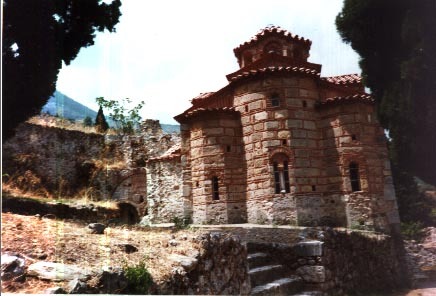 This town was built as a religious shelter. As a defensive structure and a retreat. 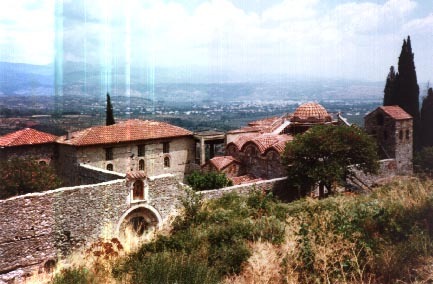 It is the town of Mystra. A somewhat mangled tribute to the Byzantine Empire. 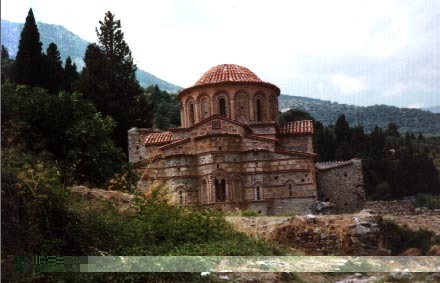 This town was regional capital for almost 400 years until the fall of the Byzantine Empire. With inspiring churches and an impregnable castle. 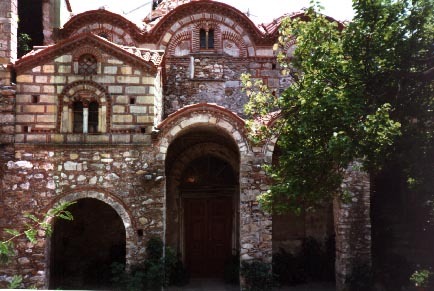 It is considered one of the best examples of both Byzantine artwork and architecture. Its occupants are long gone. It serves as a time machine for us. It allows us to among walls that have been standing for thousands of years. To view artwork that was painted by unknown but talented artists. To marvel at architecture that was unknown in medieval Europe. It reminds me of both Ossios Lukas and Daphni but on a much larger scale. Below I have assembled pictures of the city. I have assembled a lengthy history on the last page of the gallery for those people interested. I hope you enjoy the photos. Any comments, please E-mail me, jpolos@stmarys-ca.edu.